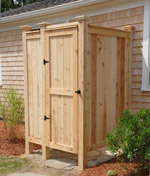 The perfect addition to the standard or deluxe outdoor shower models. 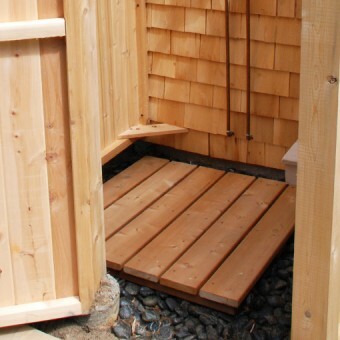 This handmade cedar shower bench kit is made of durable, low-maintenance cedar and matches our outdoor shower kits. 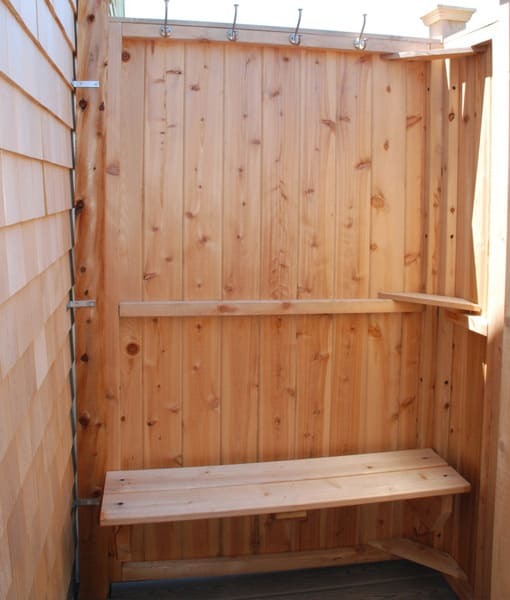 It is easy to install and can also be used as a shelf. 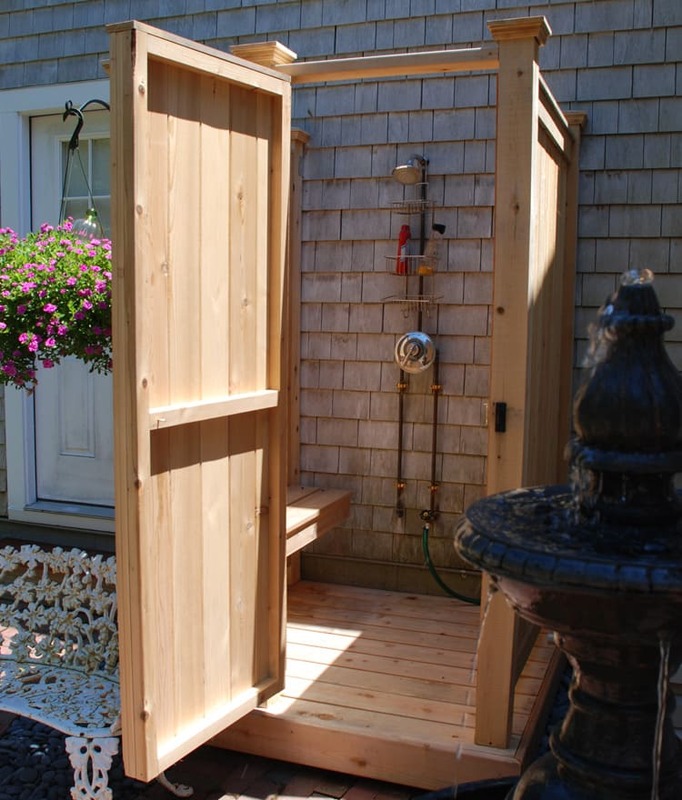 Note: If you coordinate a custom shower kit, contact us about an adjusted cedar shower bench to fit with your style and size. 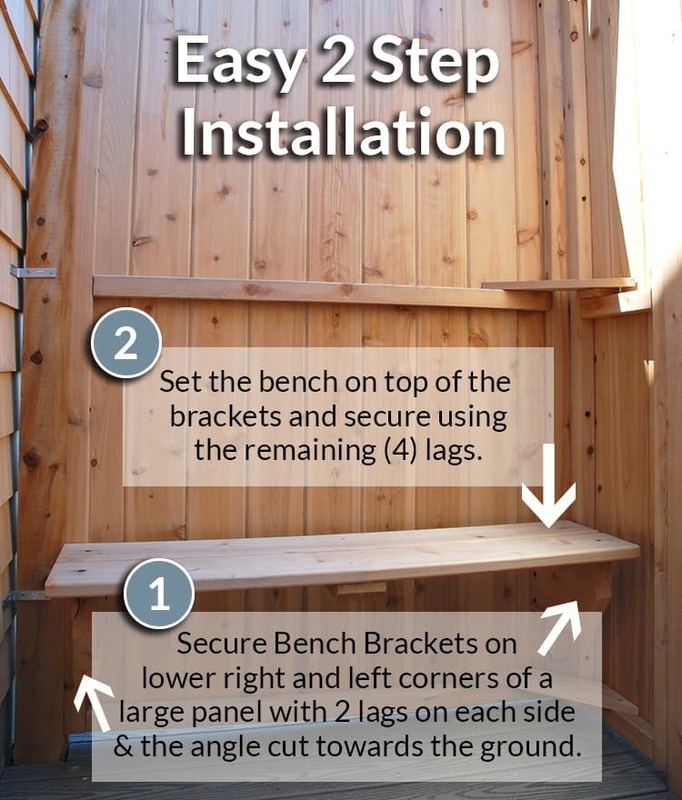 Step 1: Locate the Bench Brackets and install them in the lower right and left corners of the Large Panel, sitting on top of the corner brackets. 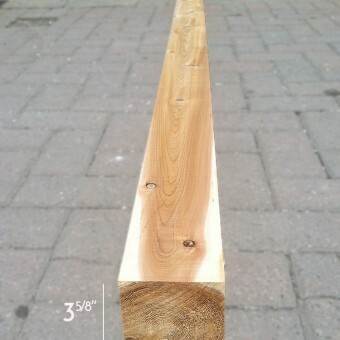 Be sure the Angle Cut on the Bracket is toward the ground. 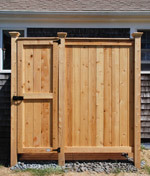 Use (2) of the 4” construction lags to secure each Bench Bracket into the lower corners of the Large Panel. 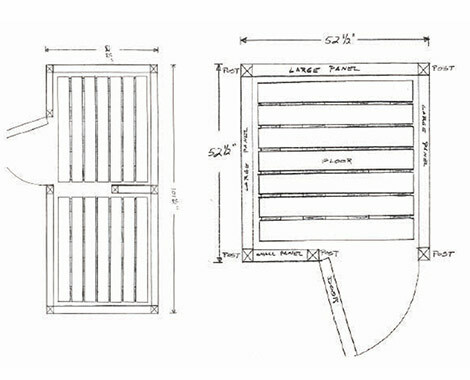 Lags will go through the Panel Frame and into the 4×4 support. 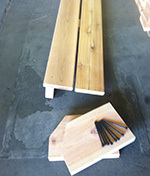 Step 2: Set the Bench on top of the Brackets. Secure the bench using the remaining (4) construction lags. 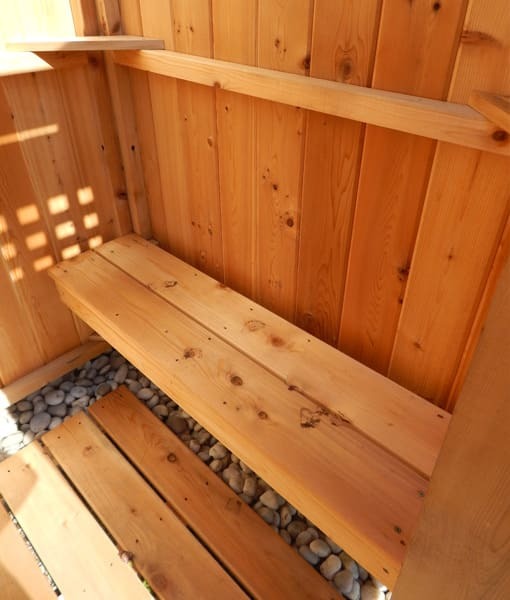 Lags should be placed on either side of the top of the bench, fastening the bench into the Brackets.